⁠Deaddiction Centre in Madurai, De Addiction Centre In Madurai, Alcohol Deaddiction Centre In Madurai, Drug Deaddiction Centre In Madurai. Drug addiction treatment is not that simple to get treated. Deaddiction treatment programs must help the person to stop using drugs and to make them be drug free and he should be dedicated to his work family and society. Successful treatment encloses detoxification, behaviourial couselling, medication, one of the major mental health issues such as depression and anxiety must be sensitively treated with professionals. 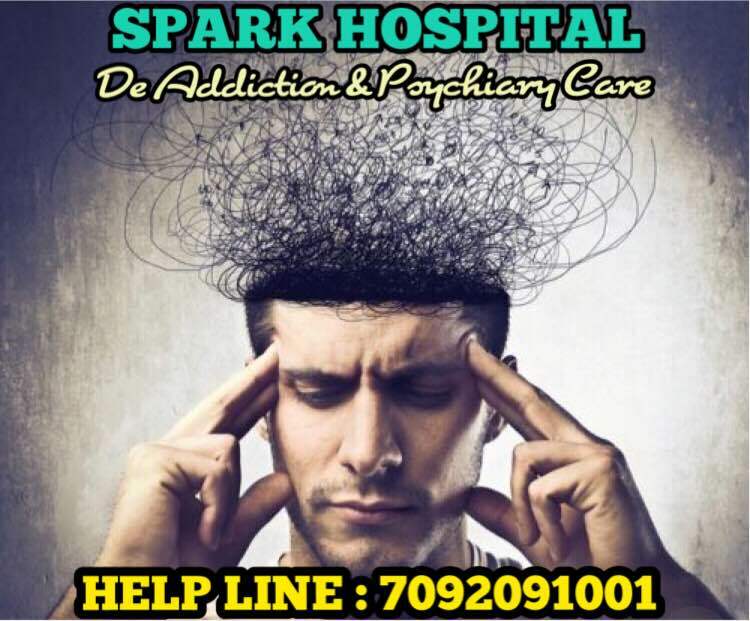 Here at SPARK we have skilled professionals who can completely wrap the patients with medications which prevents them from relapse, withdrawal symptoms and treat cooccurring conditions. Long term recovery which helps the patients to increase healthy life skills both physically and mentally. One of the rare cases of drug addiction - criminal justice system which needs additional treatment services to treat drug use disorders effectively.we help you to find yourself here! causes of alcoholism, psychiatrist, schizophrenia symptoms.